Amis are your friends! At least they’re my friends. I’ve been making a LOT of amigurumi lately. My most recent guy is modeled after a certain storybook pig you might recognize. It all started when I was asked by a local photographer to make a Piglet hat and diaper cover that she could use in her newborn sessions. I poked around a little and looked at some really cute sets but (and being an indie designer myself I hate to admit this) I didn’t want to buy a pattern if I could come up with my own. 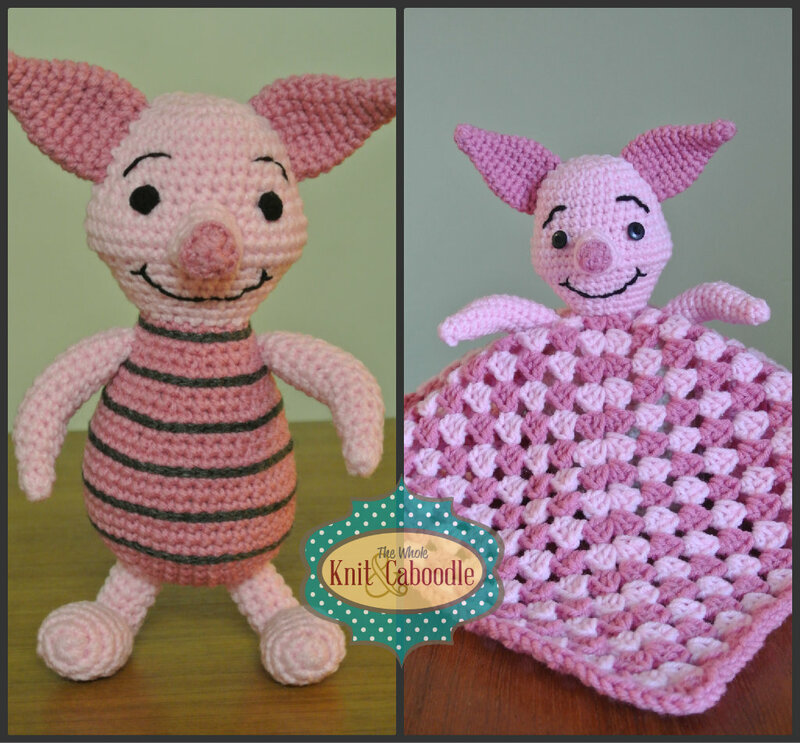 I was so happy with the hat that I was inspired to create a Piglet “lovie” (a mini blanket with a head and arms). “How adorable would those cheeks be if done right?” I asked myself. SUPER ADORABLE. 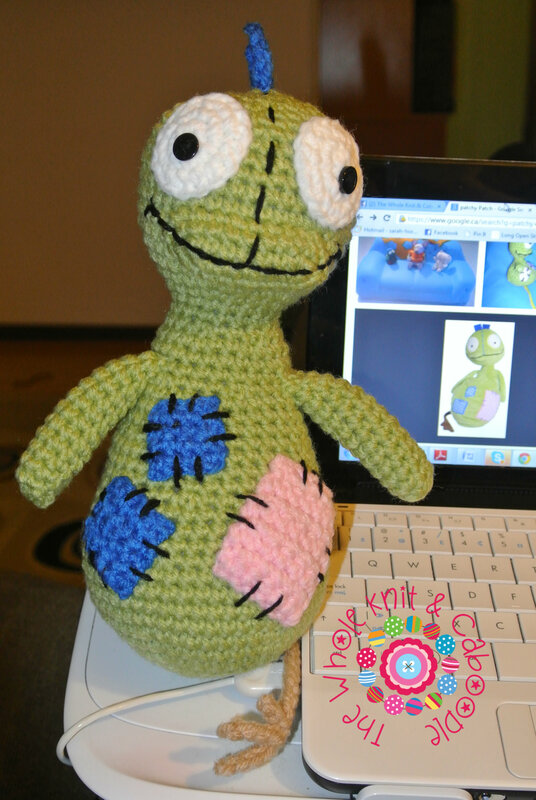 After I finished the lovie, I went on to write up a pattern for the rest of his body. The pattern was sent off to my group of testers today and with any luck the pattern (which includes instructions to make both the lovie and the stuffie) will be up in my Ravelry and Craftsy shops around this time next week. As with any of the new patterns I release, there’ll be a chance to win a copy and I’ll have an introductory special running for a few days. Another little friend I finished recently was Patchy Patch, the favourite stuffie of Binoo, the cat from the show Toopy & Binoo. I kinda love him too, even though we don’t often watch the show at our place. I’m also running a BOGO sale over in my Ravelry store, entere the coupon code MADBOGO to take advantage of it! Sale ends Sunday night! You know I’m a massive fan. I was nominated for teh versatile blogger award there a few days a go and I would like to nominate you as one of my 7. Your blog is one of my favourites.